Without a doubt he has been the highest profile world personality in my lifetime – a humble giant of a man who learned the ways of radical grace and non-violent peace-making despite being held captive by a racist and violent regime that believed it had some sort of biblical mandate for its actions. 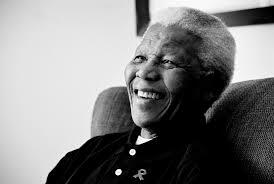 I imagine he hoped for more than has so far been achieved in South Africa, but look at how much has been achieved! In some ways the test of his leadership will be now when those who have revered him walk on into a new day without his presence. The long walk to freedom has been completed.